Season 11 | East Side Stand Up! This entry was posted in Season 11 and tagged MLS, Montreal on March 17, 2018 by marhue. 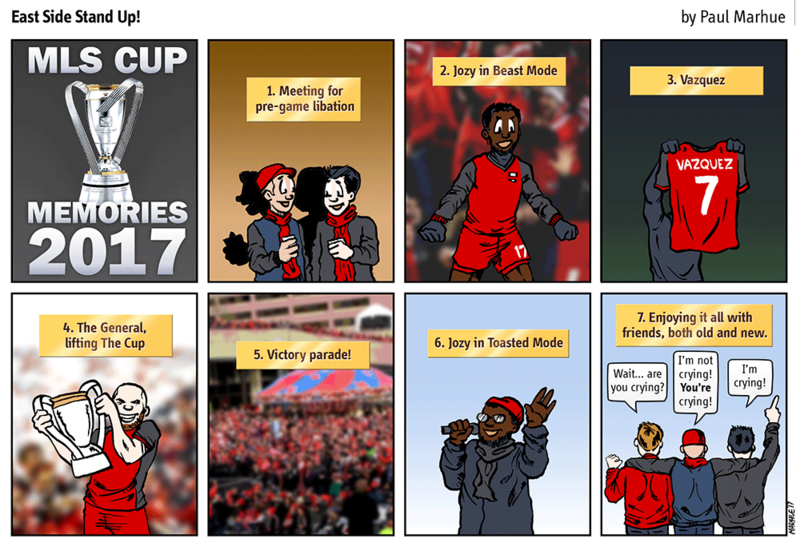 This entry was posted in Season 11 and tagged MLS, Playoffs on December 9, 2017 by marhue. This entry was posted in Season 11 and tagged MLS, Playoffs on December 5, 2017 by marhue. This entry was posted in Season 11 and tagged MLS, Playoffs on November 29, 2017 by marhue. This entry was posted in Season 11 and tagged MLS, Vanney on November 28, 2017 by marhue. This entry was posted in Season 11 and tagged MLS, Protest on November 27, 2017 by marhue.